today i took my naughty cat for her vaccination. 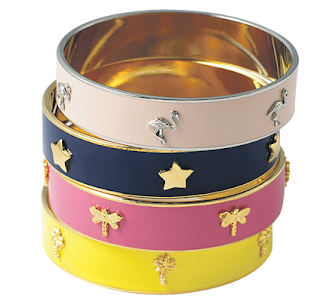 while i was waiting for the doctor and browsing 'heat' magazine, i saw those lovely bangles by anna lou of london. it seems each design has very limited stock and once it got sold out, it won't have any more in. the ones i saw on the magazine are very cute with little horses, but failed to find them online.. here's some i saw on the internet. 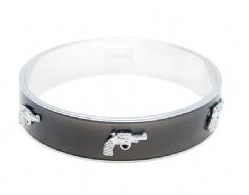 i particularly love the skull and pistol one, very rock 'n roll style, right. 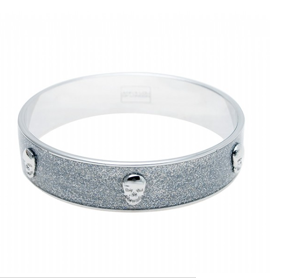 it's a bit... pricy for a bangle, each bangle is £35..